Here's an overview of how our individual lesson plans tie together. Subjects are taught anywhere between one to four days a week and are designed to fit together within each grade level. 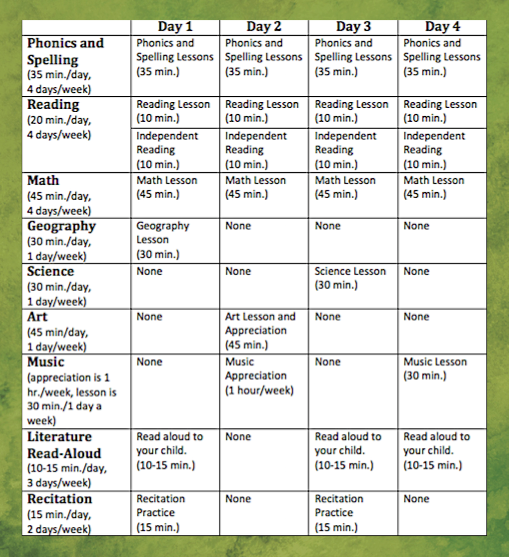 Below are sample schedule sheets for each grade level illustrating how the subjects can be taught on a daily and weekly basis. A curriculum list is found beneath each template. To view and purchase LPL selected pre-k curricula, click here. To purchase LPL Pre-K Lesson Plans for the curricula above, click here. To purchase LPL Kindergarten Lesson Plans for the curricula above, click here. To view and purchase LPL selected 1st grade curricula, click here. To purchase LPL First Grade Lesson Plans for the curricula above, click here. To view and purchase LPL selected 2nd grade curricula, click here. To purchase LPL Second Grade Lesson Plans for the curricula above, click here. To view and purchase LPL selected 3rd grade curricula, click here. To purchase LPL Third Grade Lesson Plans for the curricula above, click here. To view and purchase LPL selected 4th grade curricula, click here. 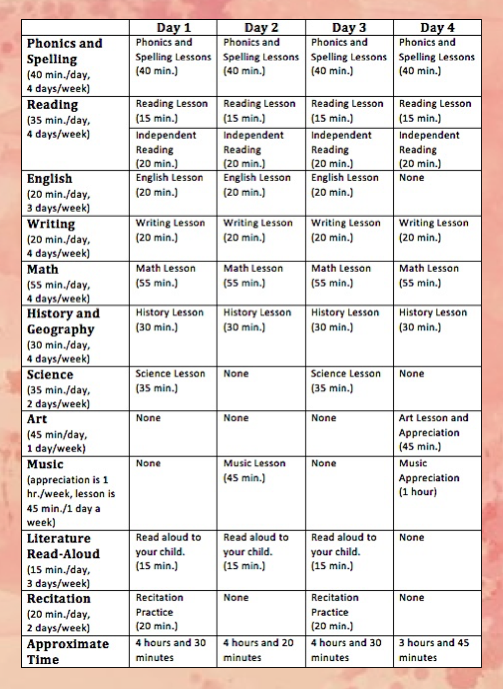 To purchase LPL Fourth Grade Lesson Plans for the curricula above, click here.